July | 2010 | Ding! From the starting point of wanting my website to look like a magazine, I thought about how I could take that idea further. I wanted to come across as unique so what approach would be unique? What if I made it look like a comic rather than a magazine? What if I found a way of breaking down the ‘grid’ structure that every website uses? The comic strips I love the most are by illustrators like Dave Gibbons (Marvel), Frank Bellamy (Dan Dare) and Chris Achilleos (Target Books). 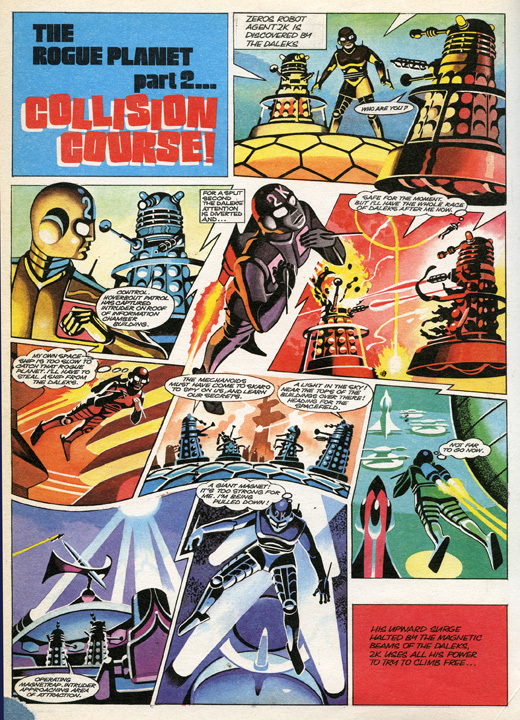 But the one that struck me most for inspiration was the work of Ron Turner in the 1960s TV21 comic. The way he broke up the panels to make them non-linear was the perfect visual metaphor for my message, to be reflected on my website. 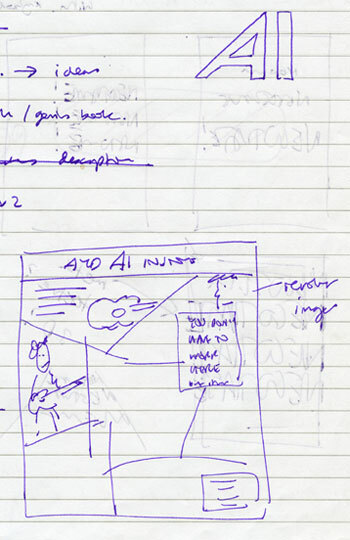 I plotted out the essential content and started to work out the shapes that I’d use to display the various clickable areas that would visually show the visitor what the website was about. You can see the sketches below. The next phase was to get new photography. I wanted photos of me (after all, it’s me the website is selling) but since there was to be so many panels, the photos had to look interesting and dynamic, almost like shots from panels of a photo strip. Working with Haddon Davies at his studio, we came up with a large variety of shots that could be matched up with the uses I had in mind. What I didn’t want is a generic portrait shot, that would have been no use to me. We shot the images on white and black backgrounds to make it easier for me to cut the images out and apply them to a variety of backgrounds. We were also keen to avoid clichés where possible and yet get the balance right between interest, irreverence and professionalism. Everything about my brand needs to capture my uniqueness, and that obviously has to include the photography. 1. What is the point of the website? 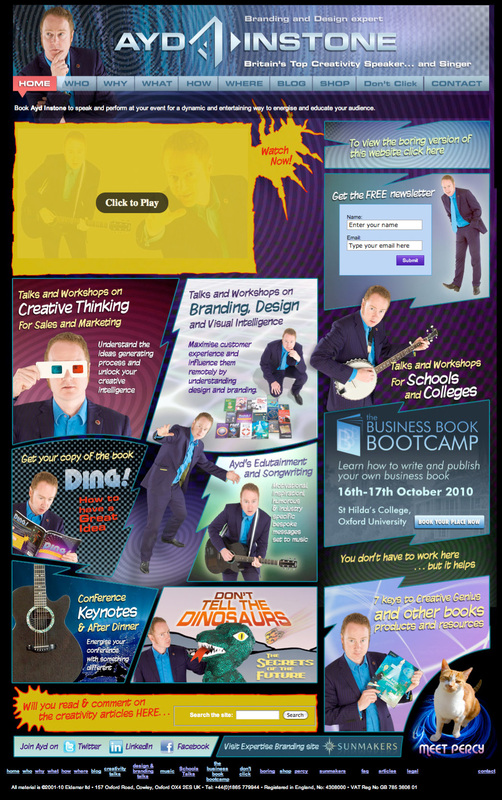 To attract visitors looking to book a unique and dynamic speaker on creativity and branding. To convince those people who have met me or been referred to me that I have what they’re looking for and have the credibility to back it up. To scream the essence of my brand: creative, exciting, dynamic, fun, different. 2. What do I want people to do when they are there? To easily click through to the section relevant to them so they find the detail they need easily. To sign up to my mailing list. Any design I came up with had to fulfill those aims. The first question is stylistic, the second functional. (Interesting that the first is ‘right brain’ and the second ‘left brain’). Click here to see what I did next. It would have been so easy to keep the same logo, keep the same structure of the web and just swap in new photos and information. But I knew that wouldn’t be good enough. There’s a great temptation with re-branding to fiddle but not wield the knife. Sometimes you have to be brave enough to roll the dice again, to be brave and see how far the changes could go. You can always pull back to safety and comfort from there, but approaching re-branding by saying ‘we want to keep such and such’ can put the brakes on. BP spent £2 million on rebranding in the 1990s for the result of keeping their logo as the shield but putting the letters ‘BP’ in italics. It was a few years later (and another large sum spent) to be brave enough to change the logo to the green ‘sunflower’. When I created by logo in 2007 I’d gone through an exhaustive process of choosing the right font. Being your own client isn’t easy! I was still happy with the choice of Eurostile in 2010. I liked the ident of the reversed out A and I of my initials. Not many people have initials that resemble A1 so I wanted to retain that. I’d never been happy with the letters reversed out of an ellipse. What else could I try? How could I make it sharper? I tried various shapes, squares, circles, hexagons, triangles. The answer was a diamond. It worked. 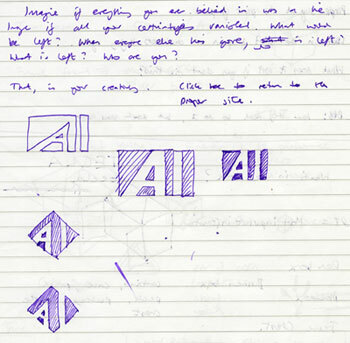 I’d been using my stylised initials as a logo for a long time, all my life in fact. But the idea of putting the diamond device between Ayd and Instone was a new idea and you can guess where than idea was lifted from. The logo was ready. Now what? Find out here. 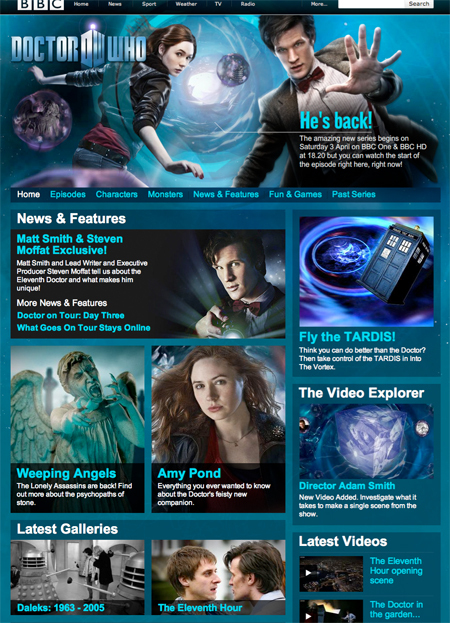 The new Doctor Who website impressed me. In many ways I found it refreshing and groundbreaking. The main reason, and the idea that I’d become besotted with implementing on my own site was this: it should no longer looked like a website. It should look more like a magazine. There are fashions in website of course, as there are in anything. Just a few years ago the trend was to have two or three columns of text, full of hot links to various pages. The classic and perfect version of this is the BBC news website. A great many new websites today are built with the pre-fab templates provided by sites such as WordPress. They follow this approach of blocks of text and navigation. I watched with interest how the BBC would handle the re-branded television programme Doctor Who in March this year. That brand makes almost as much money from sales of the programme abroad and merchandise of every description as the rest of the BBCs output put together. They couldn’t afford to mess it up. The same was true of the new Doctor Who website. It didn’t disappoint. Apart from the obvious changes of the new logo and the corporate colour changing from orange to blue, the changes on the website were actually quite dramatic. It ceased to follow the common ‘blocks of text’ format and instead used blocks of images and video. Here was something that you could take in at a glance and navigate without having to read much text until you were where you wanted to be. I loved that idea. My own website revamp was long overdue. How did I know? Some key trusted individuals had pointed out that what I do onstage, how I behave in person and the essence of who I am is clear and strong. That part of my branding was good. 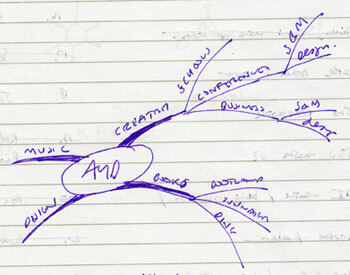 But when they saw my website (the structure of which was now three years old) was underwhelming. The excitement and uniqueness just wasn’t present. That’s not to say there was anything wrong with it. And that’s the point. It was, ok. It was ‘good enough’. It ‘did the job’. But it wasn’t me. I’d moved on and left it behind. Something had to be done. Fast. My New Website: Part 1 – How often should you revamp your website? I have just completed my new website. Have a look at www.aydinstone.com. How often should you totally change your site? You should, of course, be updating your website every day, keeping it fresh with new material as well as reminding the search engines that it’s a vibrant and relevant resource to offer in their search results. But what about the design of the site? How often should you ‘start again’ and re-do the whole thing? If it was just the branding of your business we were talking about then my opinion would be that a corporate identity should be refreshed every five years or so. Not necessarily completely changed, but modified or enhanced. We’re talking about a concept (the internet) that hasn’t been with us long enough to have formed a reliable pattern to guide us. There are two factors that help us answer the question. One is that the technology is constantly changing and improving – there are better things you can do with a website today than you could five or even two years ago. The other is how people interact with websites and more specifically, how your customers and prospects engage with you online. When businesses started on the web, things progressed more or less in this order. Their first websites were an online copy of their brochure. Then they realised they could add much more information than the brochure so they added more pages. Then they added Flash animation. Then they took the Flash animation off. Then they realised that they could add data capture, signups and sell materials via their website, have shopping carts. Then they realised that they could add ‘microsites’, separate but connected websites for sub-brands and promotions. Then they realised they could add more regular updates in the form of blogs, twitter feeds and have readers interact with that content (so-called web 2.0). Then they realised they could add video clips. Todays up-to-date website is probably incorporating all of those things. So what’s next? Technically, it’s hard to say what, if any of the cutting edge web technologies will catch on and actually be useful. It’s not our remit to worry about the actual technology when it comes to creating our websites. It’s far more valuable to spend the time thinking about what we can do to attract the right visitors, to enthuse, impress and inspire them to engage (and buy). So rather than thinking of the solution first and finding a problem to fit it, we should be defining the problem first and then working out the best technical solution to deliver. In the next article I’ll discuss how I answered those questions.